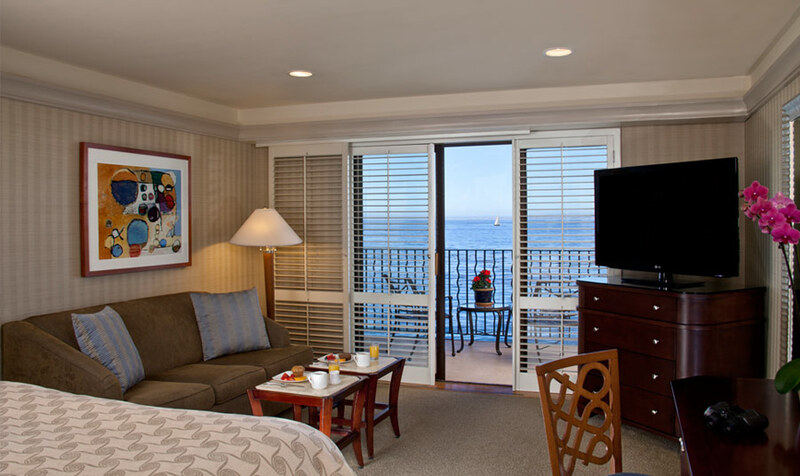 The Monterey Bay Inn’s 49 guest rooms have been updated to include new 47-inch LG flat screen HD TV’s and upgraded WiFi. In addition to the technology improvements we’ve enhanced the overall comfort of the rooms by adding brand new mattresses, the same beds you’ll find at the prestigious Lodge at Pebble Beach, and plush new pillows. You’ll also find cozy new bathrobes to keep you warm on a foggy Monterey morning. Don’t worry, your favorites have not changed! Our Monterey Hotel still provides complimentary continental breakfast delivered to your room each morning, and the friendly service from our front desk and housekeeping staff. You will also enjoy the same incredible ocean views from the guest rooms and the roof top hot tub. So, come check out the new updates and reserve your room at the Monterey Bay Inn today! Have you stayed at our hotel before and after the renovations? We love hearing from you, let us know what you loved most of all!